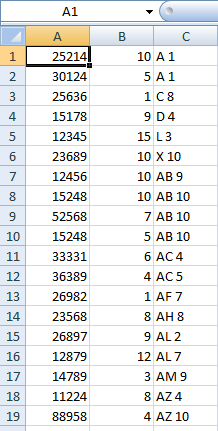 This tutorial I am explaining how to sort the pick location in the ascending order. Using the function as a first step we read the data from the data.csv file using the str_getcsv() built function. After that use the array_shift() function to remove the header data. Then call the splitandsort() function. If we try the sort the above pick_location field using the natural sorting algorithm it will sort the data in natural order ie (A1 ,A2,A3…AA1,AA2…..Z1,Z10). 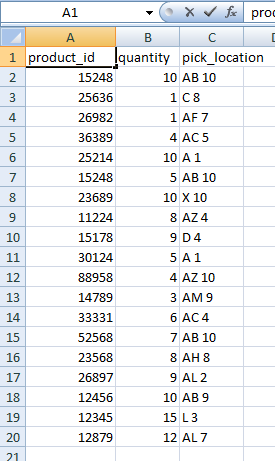 But in case we need to sort the data in a different manner as shown above. For that we need to split the pick location using the regular expression and create two groups and sort them separately (using usort() function). After that we need to merge the groups into one to get the final result as shown below. After sorting we get the data as shown below. If you have any further queries please post a comment here.